Positions allocable to this class typically report to an assigned supervisor and/or mentor and receive both technical job training and guidance on workplace behavior, competencies, individual responsibilities, and development of occupational skill sets. Career Development Interns are assigned to assist experienced journey-level workers in crafts support on training assignments of typically 12 to 24 months which may vary in duration based on individual training requirements. During training, incumbents are expected to develop and demonstrate progressively increasing skills and independence of action as they gain experience and proficiency in their occupation. Career Development Intern assignments may be made on any shift in County departments having 24-hour responsibilities. Assists a journey-level or other skilled craft worker in a variety of maintenance, repair, or construction work by furnishing and using simple tools, material and supplies. Assemble tools, supplies, materials, and equipment and assists in maintaining them in serviceable condition. Cleans work area machines and operates simple machines and equipment. Prepares simple reports or keeps maintenance records, and other routine non-complex duties in various craft trades and other occupations. Drives automotive equipment to and from work sites, as needed. Countywide YouthBridges Program* - Identification as an At-Risk Youth by a County of Los Angeles authorized department, other local, State, or Federal agencies or schools; or by a bona fide non-profit organization whose mission includes fostering or enhancement of employment opportunities for at risk youth. 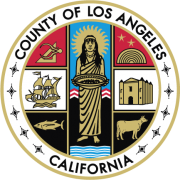 Countywide YouthBridges Program - applicants will be required to upload a copy of verification of participation issued by County of Los Angeles authorized department, other local, State, or Federal Agencies or schools; or by a bona fide non-profit organization as verified by County of Los Angeles whose mission includes fostering or enhancement of employment opportunities for At-Risk Youth. Applicants who have been previously appointed as a Career Development Intern, Crafts Support for more than 18 accumulative months will not be accepted. Applicants who are also concurrently applying for CDI, Heavy Maintenance and Operational Support(R8250J)will take the identical multiple choice test one time only. The resulting score from this examinationwill be transferred to CDI, Heavy Maintenance and Operational Support(R8250J), if applied. This examination contains test part that may be used in the future for newexaminations. Your score will be transferred to the new examination and may not be allowed to re-take any identical test part for at least 12 months.